Dan McGuire serves as Director of Percussion and Assistant Director of Bands at Science Hill High School in Johnson City, TN. His responsibilities include the coordination of the Hilltopper Marching Band, Marching Drumline, Symphonic Band, and Percussion Ensembles grades 9-12. Mr. McGuire holds a Bachelor's Degree in Music Education from East Tennessee State University, and will be awarded a Master's Degree in Education in December 2013. During his tenure, Mr. McGuire has received numerous superior ratings for concert band. Additionally, the Science Hill Percussion Ensemble has hosted a regional Day of Percussion, as well as the inaugural East Tennessee Percussion Festival. The Percussion Ensemble recently won The Percussive Arts Society's Percussion Ensemble Competition and will perform at PASIC 2013. Mr. McGuire’s students have garnered honors such as winning the Tennessee Statewide Solo Percussion Competition, as well as participating in DCI Top-12 Drum Corps, Tennessee Governor’s School for the Arts, regional honor bands and the Tennessee All-State Band. 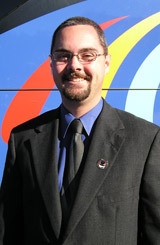 Mr. McGuire has served as a clinician in the area of marching percussion in East Tennessee, Virginia, and North Carolina. He is sponsored by Innovative Percussion, and his other professional affiliations include the Percussive Arts Society, Tennessee Music Educators Association, East Tennessee School Band and Orchestra Association, and the National Association for Music Education. Mr. McGuire currently resides in Johnson City, TN with his wonderfully supportive wife Elisa and their daughter Madelyn.